The human heart doesn’t remotely resemble the strange shape that popular culture has decided the heart should look like. 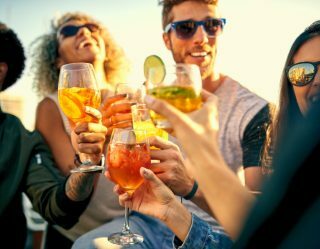 There’s a big reason why: it’s pleasing to the eyes and easy to distinguish. The novelty heart is the perfect shape to fill with chocolate, make into a pizza, or, if you visit the British retailer Marks & Spencer, a sausage. 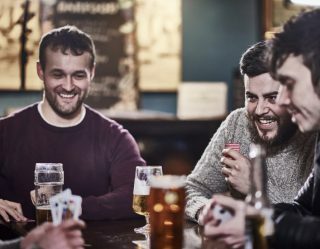 The chain released a tweet this week with an image of a heart-shaped sausage that’s been “lightly-truffled” (whatever that means) and wrapped in bacon. Because no heart-shaped sausage would be complete without ingredients that could literally stop your actual heart. This strange offering has us shaking our heads and wondering just how far the heart-shaped trend will go. There are so many heart-shaped food items on the market already. 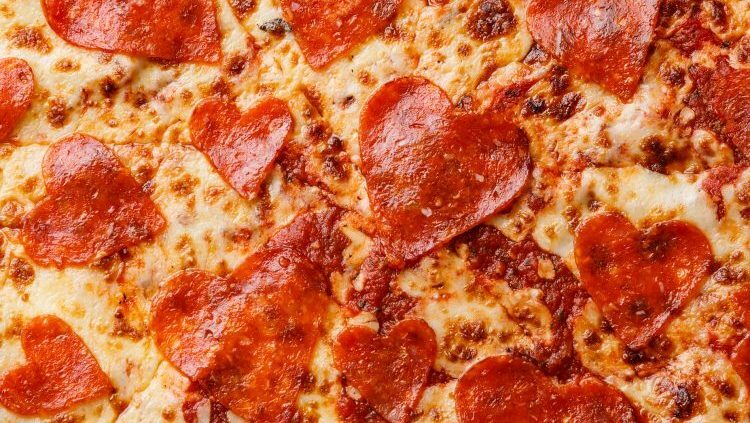 From chocolate to pizza and pretty much everything in between, here are the best heart-shaped foods to eat your feelings this Valentine’s Day. 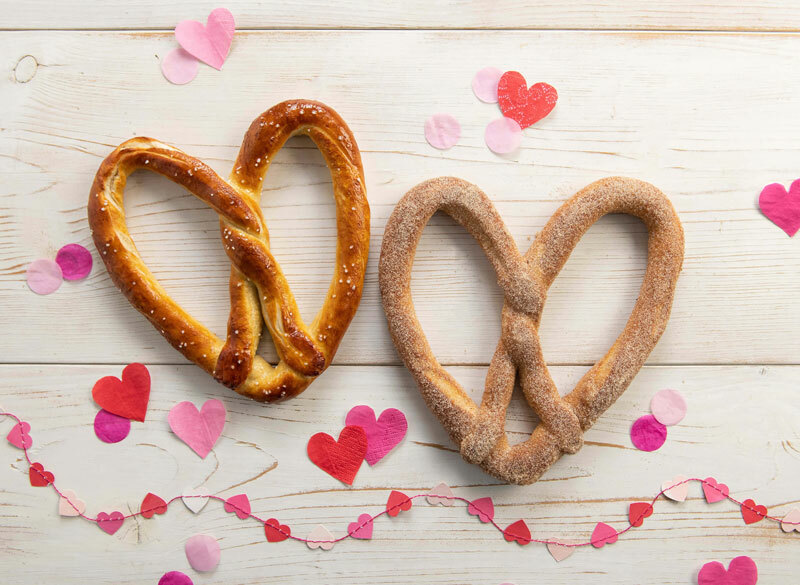 Celebrate the holiday with heart-shaped pretzels from Auntie Anne’s. These limited-edition pretzels come in salty or sweet depending on which flavor your boo enjoys. 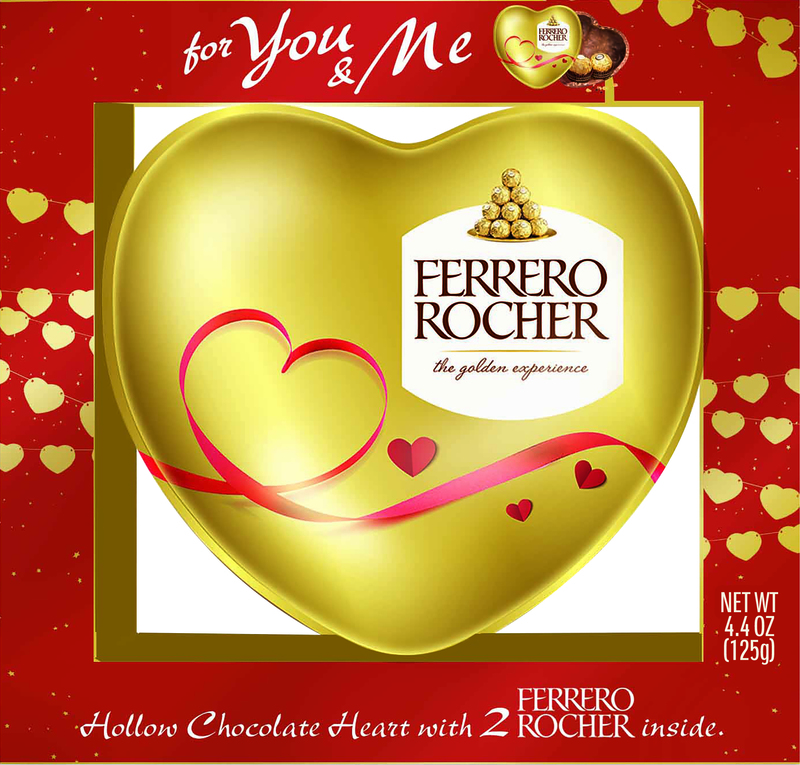 Also, if you visit the website you can get a coupon for buy-one-get-one-free redeemable on Valentine’s Day. 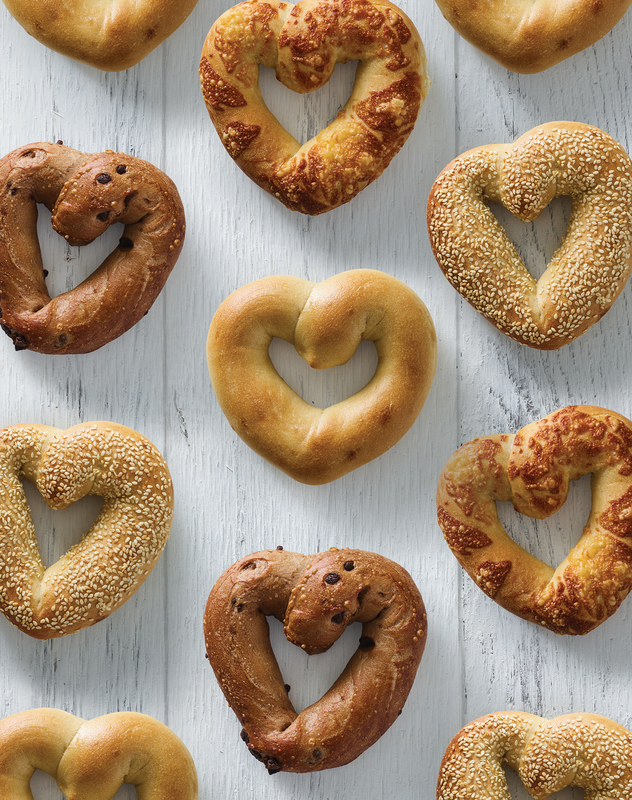 To celebrate Valentine’s Day, Einstein Bros. Bagels is offering heart-shaped bagels. The catch is that you need to pre-order these special bagels and they only come in a half-dozen (around $7) or a dozen (under $12). Everyone has been reporting on the lack of candy conversation hearts this year. 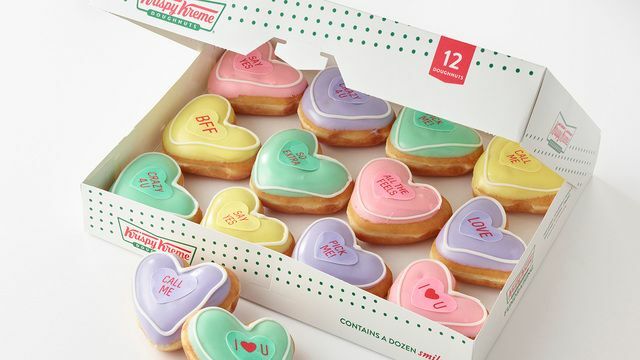 Luckily, Krispy Kreme has stepped in the fill that void with their "Conversation Doughnuts" featuring phrases like “DM me” and “All the feels." 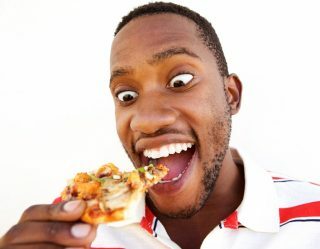 Pizza is probably the most delicious way to (literally) eat your heart out. 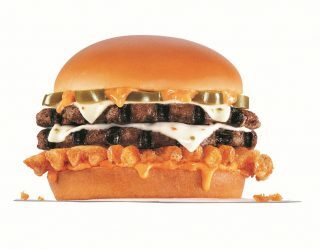 To get Papa John’s version, you can call or order one online. 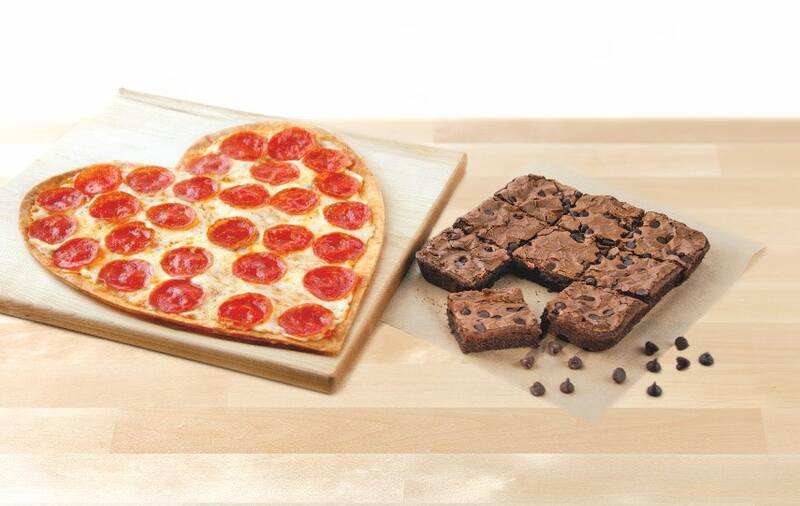 The one-topping heart-shaped pizza will set you back $11. 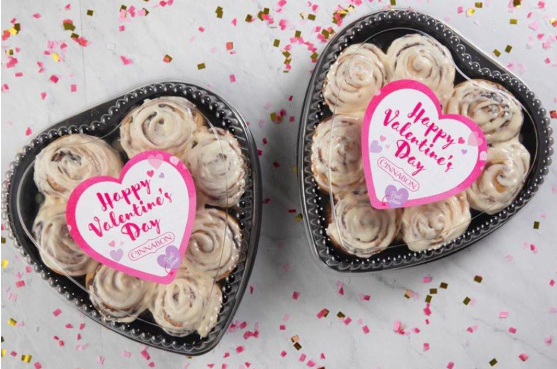 Nothing says "I love you" like cinnamon rolls, right? The heart-shaped CinnaPacks are available at Cinnabon. The 9-count pack is also available online. 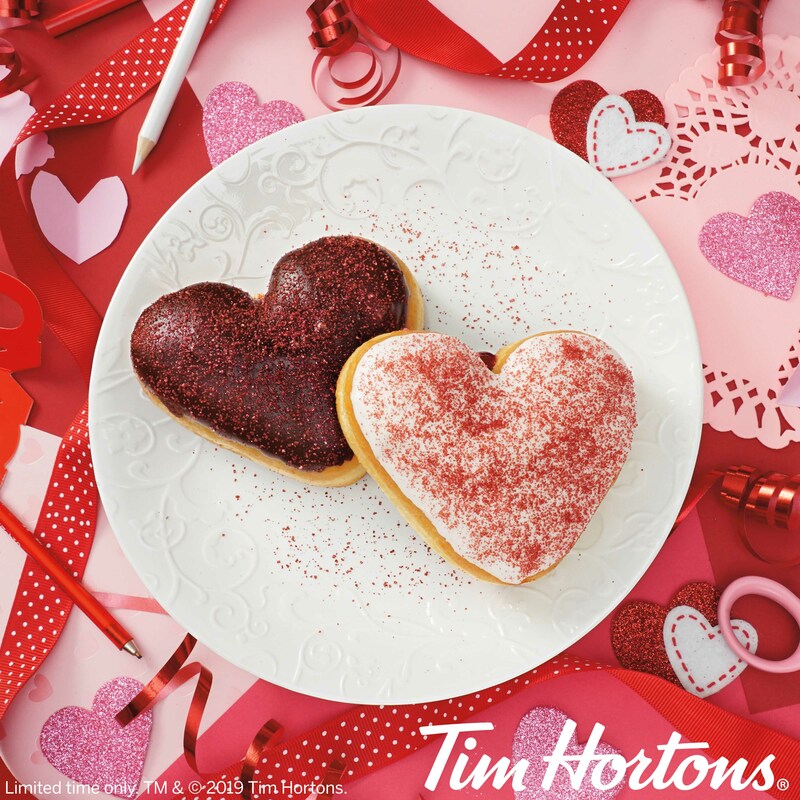 In honor of the holiday, Tim Horton’s is offering new heart-shaped doughnuts in two flavors. The Vanilla Be Mine Donut is filled with raspberry jam and the Chocolate Be Mine Donut is filled with venetian cream.